While children are celebrating the coming of Halloween, orthodontists are celebrating a different holiday of sorts – Orthodontic Awareness Month. Orthodontic Awareness Month, which occurs every October, may not be an official holiday, but orthodontists still have fun celebrating it. 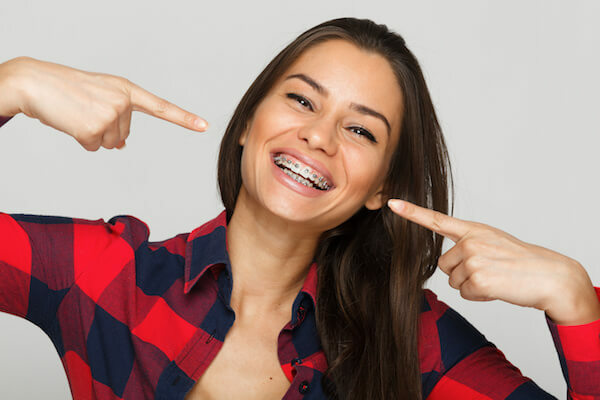 This year to celebrate the staff at Valderrama Orthodontics in Melbourne, Florida have decided to provide you with a few fun facts about orthodontics, discuss ways to improve your experience if you are wearing braces or other orthodontic devices and provide you with ways you can improve your orthodontic health. Approximately 70% of those who do wear braces are female. The average age for people wearing braces is between 12 and 15. However, in recent years more and more adults are starting to undergo orthodontic treatment. Aesthetics is often listed as the most common reason to seek orthodontic treatment. The second most popular reason for seeking orthodontic treatment is to correct an overbite. Several decades ago braces were the only option available to people who wanted to correct the spacing and alignment of their teeth. Now there are several different treatment options available to correct your smile. Whether you are a teen or an adult, you will need to make some adjustments after you undergo orthodontic treatment. In an effort to help make your experience easier and as a way to celebrate Orthodontic Awareness Month, we are providing you with some tips that will help you improve your orthodontic experience. Choose the foods and candies you eat wisely. Eating extremely hard, crunchy or sticky foods can break the brackets, wires, and rubber bands that you are wearing. Try to avoid these types of foods so you don’t end up having to make an emergency visit to your orthodontist. Always carry your orthodontic kit with you. This kit contains all the things you need to fix any problem you encounter. The kits contain toothbrushes, toothpaste, picks, floss, dental wax, and handheld mirrors. Brush after every meal and after snacking. Food can get stuck in your braces which may cause you to experience some pain or discomfort. Keep all your appointments with your orthodontist. These appointments will help spot and fix any problems that may have developed. Parents often assume that their child will only need braces when they become teenagers, but that isn’t necessarily true. Some children could benefit from undergoing early orthodontic treatment to correct alignment and other issues. Early orthodontic treatment usually begins between the ages of 7 and 10. Take part in orthodontic awareness month by scheduling an appointment for your child to have an orthodontic consultation. An orthodontist will be able to assess how their teeth and jaw is growing and determine if early orthodontic treatment is needed. Think it is time to improve your smile? Call Valderrama Orthodontics at (321)420-5050 to schedule an appointment for a consultation with our orthodontist, Dr. Natalia Valderrama. Our orthodontist will work closely with you to get you the smile you have always wanted. Call us today to schedule an appointment. We look forward to welcoming you to our office! Please activate some sidebar widgets or deactivate the sidebar.